The dead have risen and the gore is imminent. Do you have the courage to tour all FOUR of our haunts? 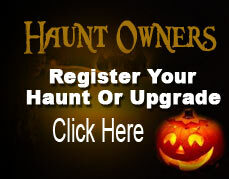 We are Sacramento area’s longest running, highest rated and consistently popular haunted house, Heartstoppers. With the most dedicated crew in the business, who do it for the true love of Halloween and to hear you scream! We are going into our 11th year, with hundreds of 5 star reviews from fans across the state, 2018 and beyond is looking outstanding! The fear will stop, when your heart does. Some aspects of our show are extremely scary, so children 13 and under must be accompanied by an adult if they are going into our haunted houses. You will know your children best. Use common sense, please.